I should be home by midnight, sweetie. Kiss the girls for me and tell them I love them. Love you,” he said before hanging up as he pulled into the crowded parking lot. It was a weeknight, but The Silver Fox Gentleman’s Club was always busy, pulling in crowds from the base just a few miles away. Transient aircrew flying into MacDill for the night loved blowing their hard-earned per diem on girls working their way through college. It was easy to get lost among the close-cropped GI haircuts filing in and out of the place at all hours of the night. Blending in was exactly why Charles “Ironman” Steele had chosen this meeting location. As the director of a highly classified covert unit, he spent a lot of time trying to blend in. Although for the 5’9” 200 lb. Steele, blending in wasn’t always easy. His bald head and general lack of neck seemingly made him stand out in even the most military looking of establishments. Ironman checked his watch as he flashed his retired military ID at the burly bouncer. He was fifteen minutes early. The bouncer pretended to study the ID for a moment and then waved him through the mirrored glass door. The relative silence of the lobby gave way to a blaring rock song as a girl made her best effort at flailing around the pole on stage. The banner above her proudly announced “Amateur Night” as the younger airmen waved singles at her and cat called from the base of the stage. Ironman chuckled to himself as the girl struggled with her top. He found a table in the corner of the dark room away from the stage and sat down. His white t-shirt and faded jeans glowed under the neon lights. He had changed out of his Desert ACUs that he usually wore just before driving out of the secure facility nestled in the center of MacDill Air Force Base near United States Central Command Headquarters. As his wife would tell anyone, Ironman was not known for his fashion sense. As a former F/A-18 pilot and Joint Terminal Attack Controller that had been embedded with Navy SEALS in Afghanistan, Ironman preferred a uniform to anything else. The only variation he had ever needed was the change from summer whites to dress blues for which the Navy was famous. Otherwise, he preferred a flight suit or fatigues. A scantily clad waitress shuffled up in her high heels to Ironman’s table. He ordered an ale and asked for the $5.99 steak special – the rarer the better. As the petite young blonde finished taking his order, he slipped her a twenty and sent her on her way. Ironman scanned the room as he leaned back into the plush booth. He hadn’t chosen the location by accident. He had a complete scan of the entire room and its rowdy occupants, including the most important part – the door. As he continued the scan, he found the man he was looking for. The tall, slender Asian stood out in the homogenous crowd of military aviators, but given what Ironman knew about the man, he wondered if the guy even cared. Ruthless was the only word he could come up with to describe him. Ironman checked his watch again as the pretty little waitress delivered his beer. It was 1900. His Breitling was still set on GMT from his recent trip to the sandbox. He never bothered changing it to local. It was always easier to just do the quick math to remind him where he was. As the Director of Project Archangel, he was almost always living out of his go-bag in some third world country. The world was full of hotspots, and although the current administration was nearing the end of its second term, the business of covert war had never been better. Covert war. He had always thought it was a cute saying, but that was his job. He had been hand-picked by the previous administration to develop a team of special operators and aviators that could be deployed anywhere in the world at a moment’s notice with a minimal footprint while being self-sustaining. With its fleet of advanced Close Air Support fixed wing aircraft and helicopters, they could fight their way into any hot spot in the world and fight their way out without the US Government getting their hands dirty. It had been the perfect retirement job for Ironman. He still got to see his wife and two girls most of the time while making money hand over fist as a high-level contractor and still being at the tip of the spear. It was a spear that, for the most part, even the most high level Pentagon officials didn’t know had been thrown until they read about it on the Internet days – and sometimes even weeks — later. But despite the nice scenery as another sorority girl clumsily tried her luck on stage, his presence in the booth represented a part of the job he hated. His group was full of high-level operators and fighter pilots. They were all Type A personalities that worked hard and played hard. Most of the people he recruited had been screened extensively, but every now and then one guy would slip through the cracks. And then he would have to do damage control. Sometimes it was simple — the former SEAL who just couldn’t turn it off after spending three months being shot at and ended up putting five people in the hospital during a bar fight. Or one of his pilots who wound up in jail after leading police on a high-speed chase at speeds over 170 mph in a Corvette ZR1 while wearing Night Vision Goggles at three a. m. Those were easy, and often pretty funny. But Cal “Spectre” Martin was different. Spectre had been a problem child from the start. Ironman had been reluctant to even hire him. It had been his boss, then Secretary of Defense (SECDEF) and current Vice Presidential Candidate Kerry Johnson who had pushed the issue. Ironman unwrapped his silverware from the paper napkin as the petite blonde returned with his steak. She walked off, he checked his watch one more time. 1915. Spectre was late. He looked back over at the Asian man he had picked out earlier. They made eye contact briefly as Ironman shrugged it off and returned to his steak. It didn’t surprise him. Nothing in the file that Johnson’s aide had dropped on his desk screamed reliability. In fact, other than graduating at the top of his pilot training class, Spectre’s flying career had been less than impressive. Spectre hadn’t even upgraded to Instructor Pilot before being grounded after a deployment in Iraq. In doing his due diligence, Ironman had pulled the mission report from Spectre’s last flight. Spectre had shown a reckless disregard for the current rules of engagement by employing ordnance while his flight lead was refueling at the tanker. He had even continued to prosecute the attack after the only qualified controller on the scene had been disabled. Although Ironman admitted that Spectre had probably saved more than a few lives that night, the action was evidence of a general lack of flight discipline. Ironman had warned the SECDEF that Spectre wasn’t a good fit for the team. Spectre just didn’t meet the standard that had been set for Project Archangel’s pilots. On top of that, Spectre hadn’t flown in over five years. He had been working at a gun supply store in South Florida. Ironman initially resisted based on Spectre’s resume alone. When SECDEF effectively directed him to shut up and color, Ironman saluted smartly, said “Aye, Aye” and drove down to Homestead, Florida to recruit Spectre. His first opportunity had been at the funeral of Spectre’s fiancée. Ironman had never read the official report on the mishap involving Chloe Moss, but he knew there was more to her death than he had access to. The initial reports and eventual Air Force Accident Investigation Board investigation all said that Chloe Moss had fallen victim to spatial disorientation. Controlled flight into terrain, the reports said. But in his circle, the rumor mill had been running wild. The possible theories ran the gauntlet from defection to Cuba to a covert counter-intelligence mission against the Chinese. Despite his high-level clearance, he didn’t have a need to know for a lot of programs, but Ironman knew that the truth was somewhere in the middle while still being very far from the official cover story. Spectre had seemed pretty shaken up at the funeral, and Ironman wasn’t even sure Spectre would return his phone call. He was hoping Spectre would just throw the card away and go on about his life. As he finished the last few bites of his steak and checked his watch again, he wished Spectre had. He would have much preferred to be spending his evening with his two daughters. At first it appeared that Spectre was just as high level as any of the other members of the team. When Spectre made it through every level of the intense physical training, as well as the flight training, Ironman thought his initial assessments had been proven wrong. Spectre performed as well as any pilot he had put through the course, and almost as well as some of the Special Operators through the hand-to-hand combat and weapons phases. Ironman had been cautiously hopeful that Spectre had become the one-in-a-million undrafted free agent that football teams salivate for. But a tiger can’t change his stripes, and when Ironman received the phone call that Spectre’s aircraft had been downed in Iraq, he kicked himself for letting his guard down. Spectre had failed to abort a mission when a pair of Syrian fighters scrambled to intercept his team. And when he finally did make the abort call, he managed to get himself shot down in the process. They were lucky Spectre’s aircraft had been the only one lost, but the team lost nearly three days in trying to recover Spectre from bad guy land — time that could’ve been spent keeping chemical weapons out of the hands of terrorists in Syria. Even more surprising to Ironman was the SECDEF’s reaction to the initial news. Although Ironman was not a huge fan of the man’s politics, he’d always thought Johnson to be a fair and compassionate person. He had been taken aback when the SECDEF outright refused to authorize an immediate Combat Search and Rescue Operation to find and retrieve Spectre. It was one of very few times Ironman had clashed with his boss. Johnson’s concern for creating an even bigger international incident had become more important than not leaving a man behind. Despite his reservations about Spectre, he was still a member of the team and deserved to go home to whatever family he had. It was simply unacceptable to Ironman. Making matters worse, Spectre’s tag along had been very vocal in launching a rescue mission. To Ironman, Joe Carpenter was perhaps the closest thing to the magical free agent in the deal. Carpenter had been an Army Ranger and Air Force TAC/P. He was squared away and highly motivated. His record spoke for itself, and when Spectre asked to bring Carpenter along as part of the deal, it was a no brainer. Ironman wished he had stayed on the team after Spectre had been let go. Let go. It was a polite way of saying fired. After being shot down in Syria, there was simply no way to justify Spectre’s presence on the team. As with his hiring, the SECDEF led the charge with his firing. There was no valid argument against it. 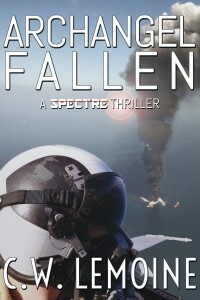 Spectre had saved the other aircraft he had been escorting, but the entire incident could have been avoided if he had stuck to protocols and aborted. He was just too much of a wild card. Ironman had been disappointed that Carpenter quit in protest, but given their long-standing history together, he wasn’t surprised. It was a shame Carpenter had been killed a few days later. Ironman checked his watch one more time as the Asian man stood from his table and approached. It was almost eight p. m. and it had become quite apparent that Spectre was a no show. At least he had gotten a cheap steak and free entertainment out of the deal. The man walked up to Ironman’s booth and took his place across from Ironman. He was wearing a dark button down shirt and slacks. His dark goatee gave way to a sinister smile as he watched Ironman push aside his plate. “Are you enjoying yourself, Mr. Steele?” he asked. “I’m sure your two daughters would much rather have you home,” the man said flatly. Ironman’s brow furrowed. He never discussed his family outside of the people he trusted on his team, and the man across from him was neither on his team nor particularly trusted. He tried to hide his anger. “Did I hit a nerve?” the man said. He spoke with a slight Chinese accent, but his English was flawless. “What do you want?” Ironman asked impatiently. “You said he would be here. He is not. Why?” The man’s voice was almost robotic to Ironman. Beyond the forced grin, he seemed to exude no emotion whatsoever. “I don’t know. I guess he had a change of heart,” Ironman replied with a shrug. “He wasn’t exactly thrilled with me at the funeral.” Ironman had attended Carpenter’s funeral, but despite Ironman’s offer to get to the bottom of Carpenter’s mysterious death, Spectre had been nothing but flippant during their brief encounter after the service. Xin stood to meet Ironman. He was nearly the same height, but much smaller in stature than the much bulkier man. “You are right,” Xin replied calmly. Ironman waited for him to say something else as he stood within feet of the man. Ironman was used to dealing with angry special operations operators all the time, but Xin was downright scary. There was just something about him that creeped Ironman out. “Let me know if I can do anything else for you,” Ironman finally said, breaking the awkward silence. Ironman nodded and then turned to walk out, passing the stage as a wet t-shirt contest was just beginning. He shrugged off the feeling of terror he felt deep within his gut. He had landed on aircraft carriers at night in rough seas and bad weather, but nothing compared to the pit that had formed in his stomach. “What have I gotten myself into?” he mumbled to himself as he stepped out into the humid night air in the parking lot. Major Jeff “Foxworthy” Vaughan cycled his flight controls and checked his engine instruments one last time as he took the runway in his F-15C. He looked over into his canopy mirror to see the taxi light of his wingman three hundred feet behind him as Major Jake “Buzz” Bronson followed him onto the runway. It was dark out. The airfield was still closed, and other than the ambient lighting from the city of New Orleans a few miles away, the relatively clear skies were pitch black. The runway edges were barely illuminated from the pilot controlled lighting that stayed on after field hours. With the tower closed, Foxworthy had contacted New Orleans Approach for takeoff clearance and coordination for their scramble. It had only been barely fifteen minutes since the klaxon had gone off, waking him from his nap. He and his wingman had been scrambled to intercept an unknown aircraft crossing the Air Defense Identification Zone out over the Gulf of Mexico without talking to anyone. Foxworthy lined his aircraft up on runway centerline for Runway 22 after making the short taxi out from the alert hangars at the end of the runway and lit the afterburners. He watched his engine instruments, confirming the nozzle indicators showed “two good swings” as the afterburners lit and rocketed his F-15 down the ten thousand foot runway. Seconds later, Foxworthy’s wingman took the runway and followed suit as the two climbed out to the southeast toward the target. “WatchDog, Bayou Zero One airborne, passing one-five-thousand,” Foxworthy said as he checked in with the military controller that would be directing the intercept. He pulled out his Night Vision Goggles from their case, clipped them to the bracket on his visor, and flipped them down over his eyes. The green image changed the abyss of darkness in front of him to a green monochrome presentation. The moonlight illumination was low, and even with the goggles, there wasn’t much of a discernible horizon or clear delineation between the dark, calm waters and the sky. Foxworthy had flown the F-15 as an Air National Guard pilot for nearly fifteen years. He had seen the unit transition from the F-15A to the basic F-15C and finally to the upgraded F-15Cs with AESA radars. He had been scrambled more times than he cared to count on varying targets from crop dusters to helicopters to airliners. Airliners scared Foxworthy. Since 9/11, the mission of the alert pilot had changed significantly. Gone were the romantic musings of being scrambled up against the hoard of MiG-29s invading the U. S. Mainland and fighting to save the day. It had long since been replaced with the idea of terrorists using passenger jets as weapons against critical infrastructure targets. The harsh reality was that he might have to use one of the eight radar-guided air to air missiles on his wing to shoot one down to prevent an even bigger catastrophe. It was not a very palatable thought for the crusty Major. But as Foxworthy looked over to see Buzz rejoin in a combat spread formation a mile and a half off his left wing, he was confident that tonight’s mission would be relatively benign. The initial Intel they had received when they checked in with their Command Post for the tasking was that it was a slow-moving aircraft located seventy miles southeast of New Orleans. The aircraft was not responding to WatchDog’s repeated identification calls and required a visual identification. “Bayou Zero One, bogey BRAA one-zero-zero, fifty-nine, five thousand, cold, maneuver,” the WatchDog controller responded, giving Foxworthy the Bearing, Range, Altitude, and Aspect of the unknown aircraft. As they cruised along at seventeen thousand feet and four hundred knots, the aircraft was just under sixty nautical miles away from their current position. “Sounds like he’s in WHODAT,” Buzz said over the auxiliary radio. The WHODAT airspace was the name for the military working airspace they used during training to practice their air-to-air tactics. Foxworthy checked his radar. Seconds later, the Active Electronically Scanned Array Radar had picked up the target and track file indicated the radar was tracking the aircraft. He moved his cursors over it and took a lock. The unknown aircraft was moving at just under ninety knots and had appeared to be orbiting at five thousand feet. “Bayou Zero One, radar contact,” Foxworthy said to alert the controller that he was now tracking the unknown aircraft and required no further point outs. “Bayou Zero One,” Foxworthy replied sharply. At almost four in the morning, it was not surprising that the controller had given them unrestricted ability to descend to the target’s altitude. Except for the cargo air carriers, there were few aircraft out flying, which was the only thing that bothered him about the aircraft they were intercepting. It was rare to get scrambled so early in the morning on an “Unknown Rider” call. “Two cleared wedge,” Foxworthy directed as he started his descent down toward the aircraft. His wingman said nothing and collapsed from his perfect line abreast formation to a fluid formation behind Foxworthy’s aircraft. Foxworthy watched the radar indication as the unknown aircraft continued to orbit. He pulled up the Sniper Pod display above his right knee and tried to get an infrared look at the target as they closed inside of twenty miles. Leveling off at ten thousand feet, the clear summer night’s sky became even more difficult to discern from the calm waters below. They were flying in an area peppered with oil rigs that stayed lit up twenty four hours a day, making it easy to momentarily confuse up for down. Foxworthy remained cautious as they sped toward the orbiting aircraft. He knew it might be easy to get spatially disoriented if they weren’t careful. “Two’s eyeball bogey,” Buzz said on their auxiliary radio, indicating he had picked up a visual on the aircraft through his Sniper Advanced Targeting Pod. “Looks like a multi-engine prop of some sort,” he added. “One copies,” Foxworthy replied. Seconds later, the white-hot infrared image of his targeting pod showed the same thing. It appeared to be a four engine propeller-driven aircraft with a twin boom tail configuration. Although they were still too far out to get sufficient detail, the initial image was confusing to Foxworthy. He couldn’t quite identify it. Foxworthy checked his radar display again. They were nearing fifteen miles. As he started his descent down to intercept the aircraft, the radar suddenly broke lock and filled with chevrons, indicating it was receiving electronic jamming. Foxworthy acknowledged and went back to his radar display, trying to make sense of it. He had fought against jammers before in training, but had never seen or heard of it happening on a real world alert scramble. It just didn’t make sense. He turned his attention back to his targeting pod image. The aircraft had rolled out of its orbit and appeared to be descending straight ahead. Foxworthy opted to continue the intercept visually. “One same,” Foxworthy finally responded on the radio. “Have you ever seen anything like this, Buzz?” Although Buzz had spent time in the Active Duty Air Force unlike Foxworthy, the two had been in the same squadron together for nearly a decade. “I was hoping it was just my radar,” Buzz admitted as Foxworthy looked out and saw the surprisingly large aircraft flying slowly over the water. “Let’s set up an orbit here at seven thousand, I don’t know what this guy is doing,” Foxworthy said as he leveled off. He could see the aircraft through his NVGs, but the targeting pod image was fairly clear as they leveled off and set up an orbit just outside of five miles. It was a large cargo aircraft of some sort. Foxworthy wasn’t sure, but it looked Russian. He looked back at his radar screen. Still jammed. As he looked back out at the aircraft through his goggles, he noticed it getting lower and slower. It appeared to be completely blacked out with no lights on at all. He tried picking it up using his naked eyes, but all he could see were the lights from nearby oil rigs. Foxworthy zoomed in using the targeting pod infrared image. The aircraft’s flaps appeared to be down, but its gear was up. Seconds later, the aircraft touched down on the calm waters. It landed! A float plane? Foxworthy’s mind was racing. “Dude did you just see that?” Foxworthy yelled excitedly on the auxiliary frequency. “What’s a floatplane doing out here?” Buzz responded after a pregnant pause. “WatchDog, Bayou Zero One, the target aircraft appears to have landed,” Foxworthy said to the controlling agency. “Say again, Bayou,” the controller queried. It was obviously not the response he had been expecting. Foxworthy double-checked what he was seeing in his pod by zooming in and out. The seaplane slowed to a crawl as it approached one of the oil rigs. “Bayou Zero One, I say again, the target aircraft has landed and appears to be approaching one of the oil rigs out here,” Foxworthy repeated. “WatchDog copies,” the controller responded. The confusion was evident in his voice as well. As Foxworthy continued watching the seaplane taxi up to the oil rig, a low-pitched beeping caught his attention in his headset. He looked up at his Radar Warning Receiver. The green circular display had just lit up as the beeping intensified. He was being targeted by a surface to air missile. Nothing made sense. “Bayou Zero One, spiked,” Foxworthy announced over the interflight frequency. His heart started racing. Is it real? Or related to the jamming? The adrenaline began surging as the indication grew stronger. He had never seen anything like it. His Radar Warning Receiver was lit up like a Christmas tree, indicating that a SAM’s target acquisition radar was locked to him. “Bayou Zero One, WatchDog, I checked with the Director. The aircraft is in international waters. You’re cleared to disengage and RTB at this time,” the controller directed. “Bayou Zero One is defensive!” Foxworthy responded as the indication changed pitch and his RWR indicated that a target tracking radar was engaging his aircraft. He knew he was just seconds away from a potential missile launch. Ignoring the call, Foxworthy lit the afterburners and executed a break turn while expending chaff to attempt to break the lock of the radar. His wingman followed suit in the opposite direction, using their in-flight data link to keep track of each other. “Bayou Zero One, WatchDog,” the controller attempted again. “Standby,” Foxworthy replied as he strained under the G-forces. He continued maneuvering his aircraft away from the target aircraft’s last known position. As they cleared ten miles, the Radar Warning Receiver suddenly fell silent. “One’s naked,” Foxworthy said on the auxiliary radio. “Two same, I’m at your five o’clock and seven miles,” Buzz replied. “I have no idea,” Buzz replied, still breathing heavily.